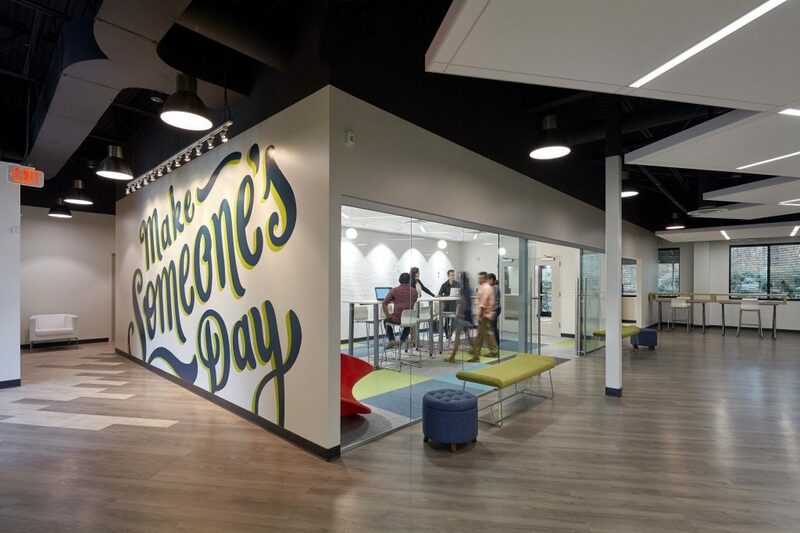 Continued growth within VisionPoint Marketing created a need for headcount expansion beyond the capacity of their then current office space. As an agency that caters to the marketing needs of higher education institutions, VisionPoint was in pursuit of a collaborative and modern working environment. RCR combed both the North and West Raleigh submarkets in search of owner occupied acquisition opportunities. With a tightening real estate market, it took months of conducting thorough market surveys and analysis to locate a new home for VisionPoint. RCR was able to locate an 11,180 square foot West Raleigh building and structure a lease back with the seller to occupy a portion of the facility. This acquisition strategy allowed VisionPoint to create a scenario which provided sufficient short and medium term space solutions, with future long term expansion ability. Much of the due diligence period was working to structure the specifics of the lease back, coordinate the reduction and demise of the tenant’s suite, and work to design and reconfigure the second generation office space that VisionPoint would be occupy. Upon completion of the upfit, VisionPoint now has a functional, Class A collaborative space that will support their needs for years to come.